Purchasing a house is one of the biggest steps in life. You should feel assured that you have a competent inspector working for you and looking out for your best interests. 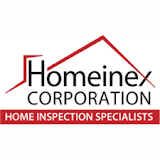 Homeinex is not affiliated with any Real Estate Agencies or Contractors. That is why we are able to provide you with a non-biased analysis of the property you are willing to purchase. Homeinex offers prompt service, competitive pricing, volume discounts and our exclusive Life Time Consulting Service. If at any time there is a question or concern, we will address the problem free of charge. Upon completion of the Inspection, you will receive a ten page report detailing more than one hundred and thirty items. If you choose Homeinex – you will not be disappointed.